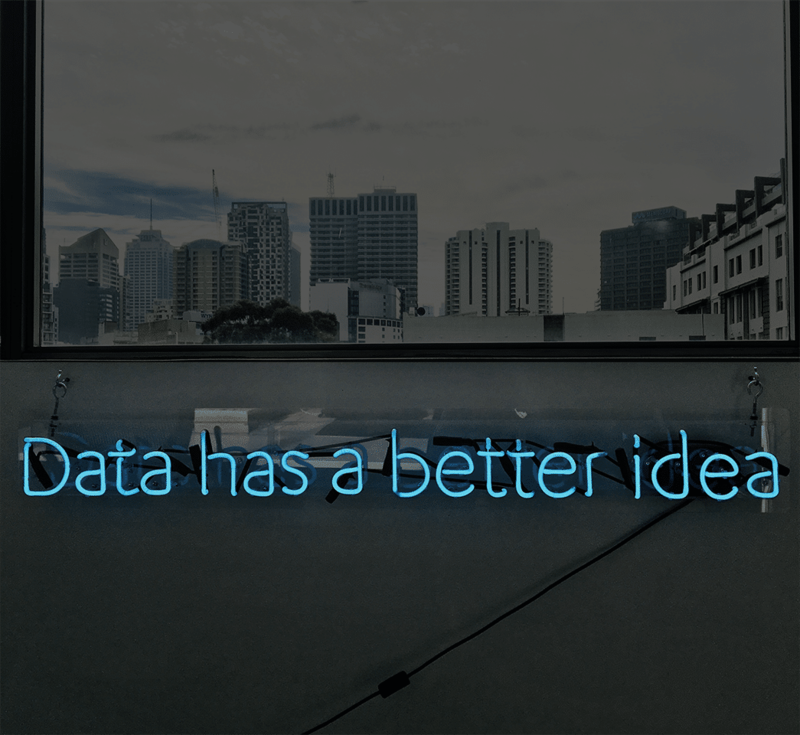 As a business, we create lots of videos about big data designed to highlight the value of good insight. This makes the challenge of gathering detailed usage information about the work we create so ironic. Like most small creative content agencies, we know that ROI is incredibly important to clients commissioning video. More than once have we heard people say, “the testimonials on your site look great, do you have any numbers to support how successful those campaigns were?” For those potential clients who have seen too many Facebook ads offering ‘videos for a fiver’, our budgets can seem high; understandably they want reassurance that their money will be well spent. Not unlike most content creators, we’re experts in creating engaging animated content not gathering data. We can access top-level info that Google provides about how we’ve performed in search or the user-journeys on our website. Plus, there’s information to be gleaned from the data available on YouTube or Vimeo ,that shows how a video we’re hosting has performed. The problem is that the majority of our animated video campaigns are hosted by clients and that performance data isn’t readily available to us. Which ultimately makes it harder to measure a video production’s return on investment. A lot can happen to piece of content once it’s been delivered; the event it was created for may have been scaled down and now, the video is living on an intranet, or conversely the client has found extra budget and increased their advertising spend on social platforms. Not always being in control of the lifespan of a video, means that when we calculate the ROI of any video content project, we’re forced to reflect on surface data. Take pitch films, for example. Over the past few years, we have created scores of videos for a wide range of agencies pitching for all manner of work. By tracking these pitches in the trade press, we can build up a picture of success and attribute a value to the work. By paying attention during the briefing and production process we’re able pick up information about much time and money is being spent on the pitch in total. This allows us to calculate our contribution and its relative worth. We’re not so vain as to believe that our videos are responsible for the $1 billion of accounts our clients have won, but because they keep coming back to us, we know they value our small contribution to their big wins. Social campaigns for clients are another area where we can get a measure of quantitative and qualitative data. At the most basic level, we can add up the number of views; always mindful that viewers on Facebook, Instagram and Twitter only have to watch for 3 seconds to count as a view. Combining the number of views, with the nature of users’ comments and volume of shares or likes helps build a consolidated picture of the success of a campaign. This approach is far more successful for awareness or information campaigns, where the viewer is more likely to engage directly than for brand or product social videos where viewing is more ambient. In the absence of cold hard data, anecdotal evidence supported by genuine facts goes a long way to calculating the ROI of website videos. For a small content agency, like ours, making the effort to gather this information shows an understanding of good ROI, as well as proving that the work has delivered time and again. Finally, calculating ROI for video content is something you should repeatedly check – as video usage and profitability is likely to be changing all the time on large commercial websites.